Greetings from Texas: WIN $50 TO THE STYLE LAB! 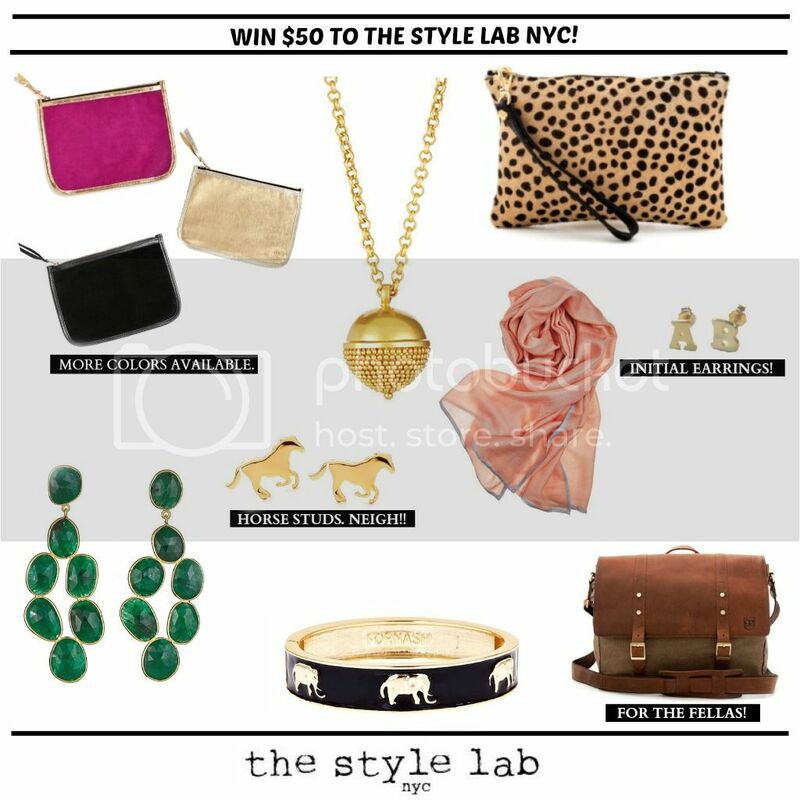 WIN $50 TO THE STYLE LAB! 1. Click here to check out The Style Lab NYC. 3. If you buy something from this fantastic store, use the discount code "GREETINGS" for 10% your purchase. Giveaway open through Friday, October 11th at midnight. yay for giveaways! obsessed with the boa ring. I love the hammered gold hoops! So pretty! I would def get the Zuma Scarf (love the stripes) and cut out turquoise necklace...Among other things. Eek why must you introduce me to these adorable shop websites? How GORG are the Aqua Mosaic Earrings?!! L-O-V-E them! I'm loving the simple chaplin studs or the enamel elephant bracelet! Obviously, I need the minnie bow bracelet! I would buy a gold link bracelet because I've been looking for one for a long time! !